A vehicle breakdown is never a pleasant experience. You can’t really plan ahead for one – at least not when it comes to when and where you’re going to have to deal with an issue like this. Problems do happen – from flat tyres to collisions – and even the most reliable vehicles are going to need roadside assistance from time to time. No one relishes the idea of finding themselves stranded on the side of the road, or worse yet, broken down right in the middle of the road. An issue like this can bring your day to a grinding halt and leave you wondering how you’re ever going to get everything done now that you have to deal with this added inconvenience. But there’s a silver lining when it comes to dealing with vehicle breakdowns in Perth. Thanks to Executive Towing Services, your breakdown can be resolved quickly and safely. We offer the premier line of towing services in the Perth metro area, if you need assistance from Joondalup in the north, or Midland in the east, Canning Vale to the south or any other areas we will be there for you. With our team on duty, you can rest assured that you’ll have access to the towing services you need anywhere in greater Perth. That’s our guarantee. Some breakdowns are more serious than others. In some situations, our service is the first and last that you’ll need. For example, finding that you’ve locked your keys in your car is a relatively easy problem to remedy. We’ll dispatch a professional to quickly and safely open your vehicle door and provide you with access. Likewise, we can also change your flat tyre in short order or jump start your battery to get you back on the road. That’s the end of your problems. But even if you have been involved in an accident and your vehicle is going to require extensive repairs or body work, it’s reassuring to know that you won’t be left stranded for long. 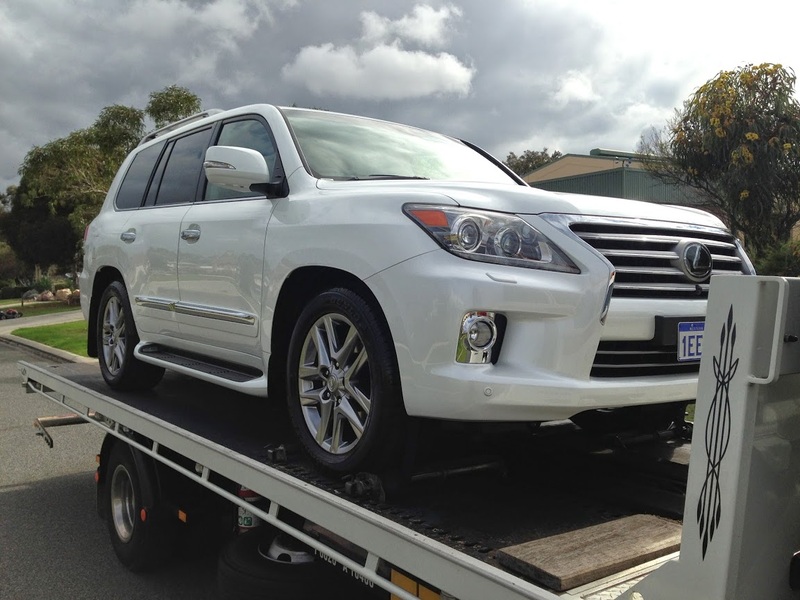 We’ll send a tow truck in Perth to your location and get your vehicle on its way to the repairer of your choice. And if you’re not sure where to send your car, there’s no need to worry. We’re well-connected with repairers in the Perth metro area. We’ll advise you of the closest high-quality repairer in the area. With Executive Towing Services on your side, you don’t have to worry about how you’re going to resolve this unexpected problem. We’ll see to it that you receive prompt and professional attention regardless of your situation. When you see our team in action, you’ll marvel at how quickly and effortlessly we can resolve your breakdown situation. But don’t let the apparent ease of our operations deceive you. We’re one of the top towing companies in Perth, and our extensive roadside experience has allowed us to streamline our operations. We make towing look easy. But the reality is that breakdowns are complex situations with multiple moving parts. Easy as it may appear, a great deal of thought, consideration and expertise goes into our process. Many towing firms simply aren’t able to ascend to our level of excellence. We have the privilege of working with loyal, long-term staff. We see minimal turnover over time – which is rare in the towing industry. This is a testament to the quality of our operations, as those professionals who start working with us wish to continue doing so over the long term. But this is also good news for our clients, as it means the professional who is dispatched to your location is going to be experienced, courteous and completely up to the task of resolving your roadside issue. It’s worth noting that an inexperienced, fly by night towing operation could end up doing more damage to your vehicle in the process of towing it off site. Some may try to rush the process to your own vehicle’s detriment. Others may use outdated or poorly maintained tow trucks that could end up damaging your vehicle’s body or undercarriage. This is the last thing you need to deal with when you’ve already found yourself stranded. But at Executive Towing Services, we treat each vehicle with the care and attention that is normally reserved for a luxury sedan or a restored classic car. In fact, our commitment to offering the highest quality towing services is reflected right in our name. You’ll feel like a privileged executive when you commission our services. And the fact that our rates are competitive by any Perth towing company’s standards is just icing on the cake. You can consider us your one-stop shop for all vehicle breakdowns and roadside problems. If you are currently browsing the Internet out of sheer curiosity just to find out what is available in regards to car towing in Perth, we encourage you to bookmark this page for future reference. You may also want to consider taking note of our contact details now so that you have access to them in case of an emergency. And if you’ve found our website because you are currently dealing with a vehicle breakdown, call us now by clicking the telephone number displayed on our banner. Your smart phone will automatically proceed with the call. Or you can dial 0410 471 056 manually to get in touch. We have consultants ready to provide assistance and respond to your queries.